In the last few years, immigration to the United States has become the target more of fiery debate than of reasoned discussion. But fireworks were few during a forum on immigration in Jacksonville, FL, where the dozen or so participants arrived ready to hear opposing viewpoints. Their introductions and comments later in the forum made clear that most were troubled by at least one, and sometimes more than one, aspect of the immigration issue for reasons as varied as the individuals themselves. A teacher introduced himself by saying that he was haunted by the fear in a student’s eyes when the student asked whether he was going to be deported to Mexico. “If you have a rule, you have got to enforce it,” a man said later in the forum. 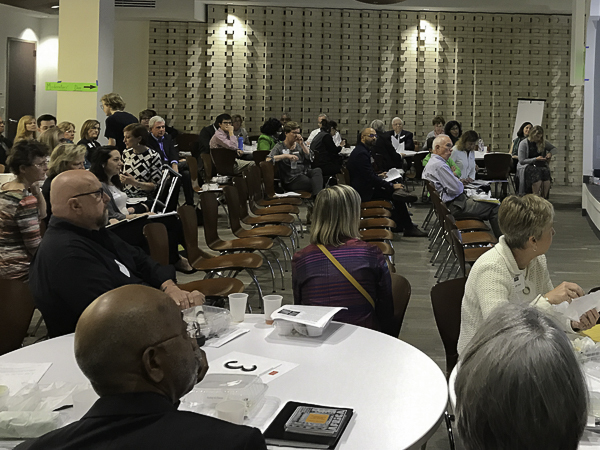 The middle-aged and older people gathered at the fellowship hall of St. John’s Episcopal Cathedral to experience a National Issues Forum (NIF). The topic was Coming to America: Whom should we welcome? What should we do? which the Rev. Gregg Kaufman moderated. National Issues Forums have for decades convened groups of citizens across the country to deliberate on issues of national consequence, and Kaufman is experienced at moderating. Yet he didn’t need to prod members much. Two members were immigrants themselves—both came here legally, they were careful to point out—and one woman, from Egypt, insisted that immigrants should be required to know English to come here. But another man at the forum disagreed. He raised his teenage son as a French speaker in Belgium before returning home to the United States, and he said, despite little knowledge of English, his son was able to speak English fluently just a few months after he arrived. Kaufman is a builder at heart. 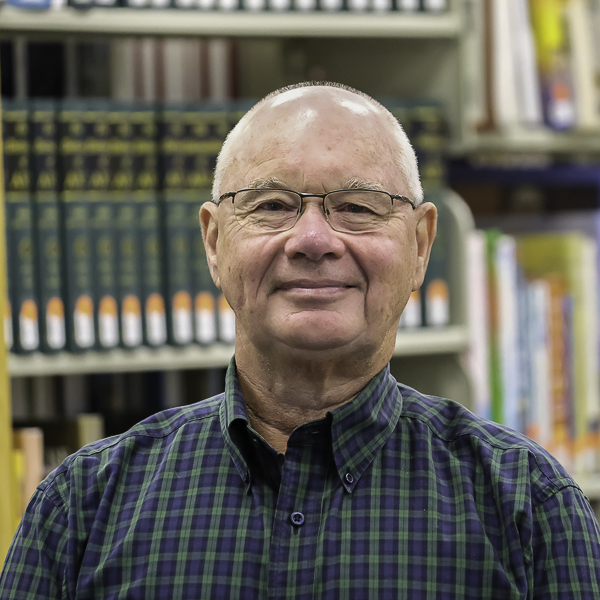 Forty years ago, his second call to ministry in Georgia came with land, but no church and no congregation. He built both from scratch. After 8 years there, he served and helped grow a young church in Princeton, NJ, over the next 17 years. In 2004, he changed careers and led a civic engagement institute and taught at Georgia College & State University. It was during that second stint in Georgia that he met Harry Boyte, came to the Kettering Foundation, and established a Center for Public Life in Milledgeville, GA. Kaufman not only established a public deliberation course for first-year students, but he also began to practice deliberation in public forums. He saw it as an extension of his work as a minister. “Deliberation bridges the secular world of citizen democracy with the religious world of communal discernment,” Kaufman said. “What we do in deliberation is say, ‘Let’s learn with one another.’ Deliberation is the antithesis of hierarchical thinking, and it can be a gift to the church, which doesn’t always have a great method of drawing out the wisdom of the group,” he said. In Milledgeville, for example, Kaufman organized nine public forums on how to improve the school system’s high dropout rate. He had one caveat: school administrators were encouraged to listen, but not talk. About 160 people attended, many of whom had either dropped out of school or had a family member who had dropped out. 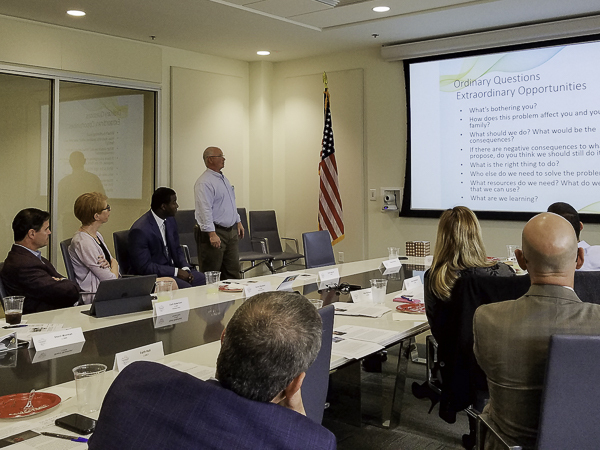 Forum results included improved communication between the school district and residents and increased participation in an after-school academic and enrichment program for 1,000 students. His website became the virtual storefront from which he not only continued his work in helping people deliberate but also became busier than ever. Last year alone, he helped moderate 14 Safety and Justice forums in Jacksonville, involving more than 200 people, and prepared a final report, which he shared with city leaders, including the mayor, sheriff, and state attorney. He wrote about the experience in an op-ed published in the Florida Times-Union. Kaufman also started a program introducing deliberative forums with adolescents so they, too, could organize forums. That in particular interested Leslie Kaplan, associate director of Hicks Honors College at the University of North Florida. “I saw this as a structured way of helping people avoid the emotional traps of discussing public issues that have no right answer,” she said. 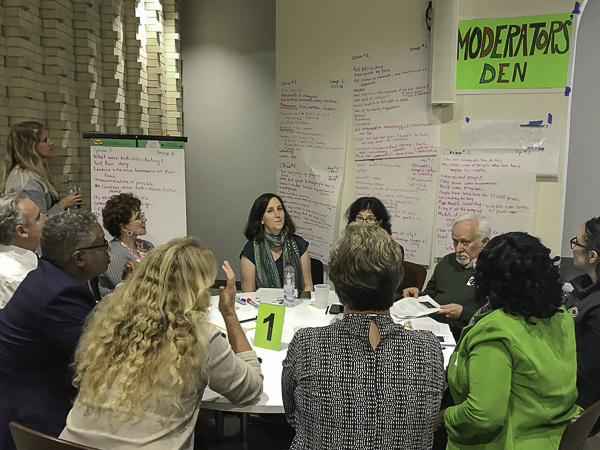 To Jill Dame, who is CEO of Leadership Jacksonville, an organization dedicated to developing emerging leaders and strengthening the community, deliberative forums get people talking in a way that enhances civic discourse. “We had tried other things, but nothing really worked,” Dame said. She said the forums are particularly useful when discussing a local issue. “The need for having a local issue guide is huge,” she said, and it increases both interest and participation. That was the case in discussing the city’s Confederate monuments and what to do about them. Kaufman wrote an issue guide titled How Should We Convey the History of Jacksonville? Monuments, Parks & People, used in 14 public forums. The forums were useful and came up with good suggestions. But both Kaufman and Dame said that the gatherings were lacking in representation of people who were strongly opposed to the idea of moving the monuments. “You announce a forum, and you get what comes,” Kaufman said. 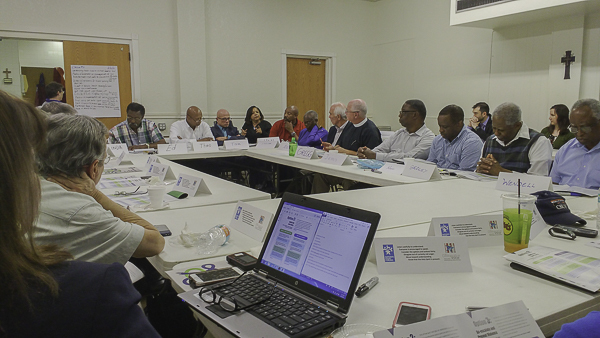 He’s convening a naming and framing team to write an issue guide addressing an ongoing issue in Jacksonville’s Cathedral District, so named because of the presence of 5 historic churches in a 33-block area. The problem is that half of the land is taken up by parking lots filled on Sunday but largely empty the rest of the week, and few people live in the district anymore. It contributes to a lack of vitality downtown. “There has been some good planning in the past, but there has to be public weighing in,” Kaufman said. He hopes to have up to 10 forums on the issue.